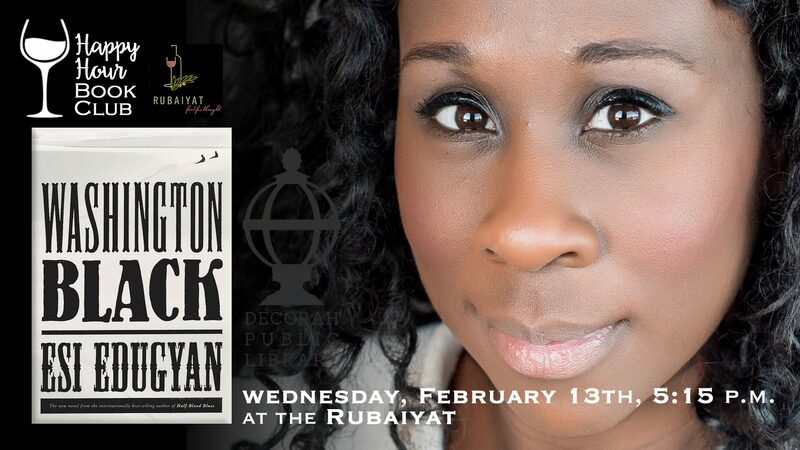 The Happy Hour Book Group will meet at Rubaiyat on Wed. Feb. 13th at 5:15 p.m. to discuss Esi Edugyan’s “Washington Black.” Washington Black is an eleven-year-old field slave who knows no other life than the Barbados sugar plantation where he was born. When his master’s eccentric brother, Christopher Wilde, chooses him to be his manservant, Wash is terrified of the cruelties he is certain await him. But when a man is killed and a bounty is placed on Washington’s head, Christopher abandons everything to save him.